At 19-2 overall, there isn’t much that the Rowan women’s basketball team hasn’t accomplished this season. Grad student forward Kate Matthews surpassed 1,000 points in her career this season, and is currently second in the New Jersey Athletic Conference in rebounds per game. 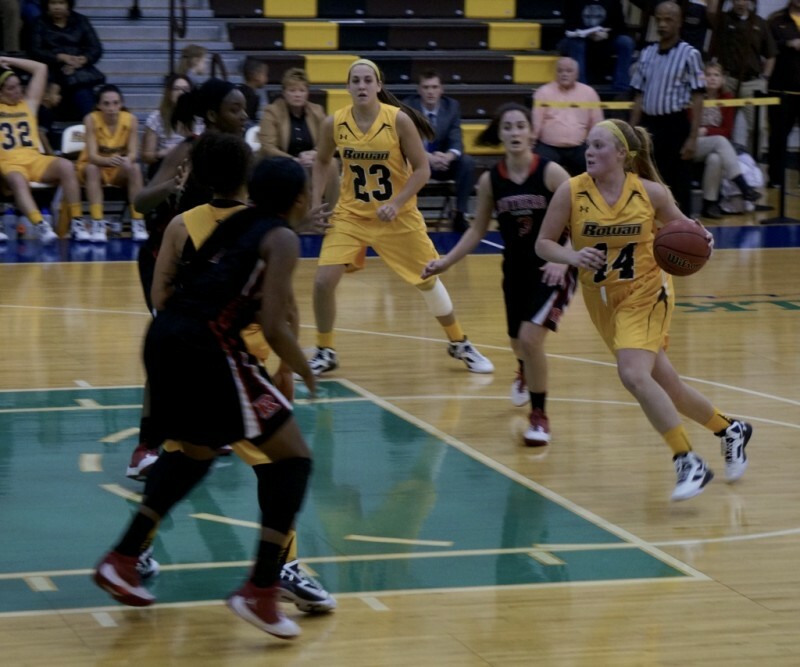 Fellow grad student guard Kaitlin Schullstrom has 954 and is on pace to surpass 1,000 points by season’s end. Junior guard Valerie Garofalo has the fourth-most assists and the best assist-to-turnover ratio in the NJAC. Her backcourt mate Anyssa Sanchez is currently second in the conference in field goal percentage. Registering among the conference’s best in almost every statistical category is grad student Melissa Lake. As a team, the Profs lead the conference in scoring, scoring margin, offensive rebounds, assists, steals and turnover margin. They have also already surpassed their win total from last season (17). They are a perfect 10-0 at home. Most important, however, is that they sit atop the NJAC standings with only four games left in the season. 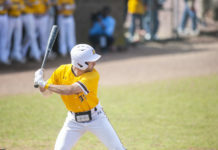 Rowan holds a two-game lead over Stockton University and Montclair State University. One thing that the team has not been able to do consistently this season is appear in the Division III Top 25 rankings. The Profs were ranked going into their game at Stockton on Jan. 20, but they lost by double-digits to the Ospreys and then subsequently dropped out. Last season, the brown and gold finished with a 2-2 record over their final four games of the season. 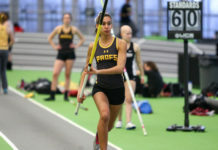 With three of the team’s remaining games coming against programs in the top five of the NJAC—Montclair, Kean and William Paterson—Lisella says that her squad is going to have a target on their back. 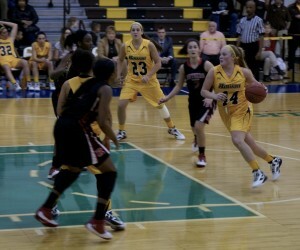 Rowan previously faced the three conference opponents over a three-game span from Jan. 6-13. After taking hard-fought battles against Montclair (68-64 win) and Kean (103-97 win), the Profs cruised to an 81-59 victory at William Paterson.